Ragtime Tattoo isn’t for everyone. I often joke that it is a place to get your second tattoo. If you have gotten tattooed at the shop you know we don’t advertise, we don’t have a phone and our store front is dark with little signage. Most people find us by a referral from existing clients. Our clients have helped to preserve the uniqueness of the shop by sending us people who are ready to think outside the box. You are what makes Ragtime so special. You bring us IDEAS not images. 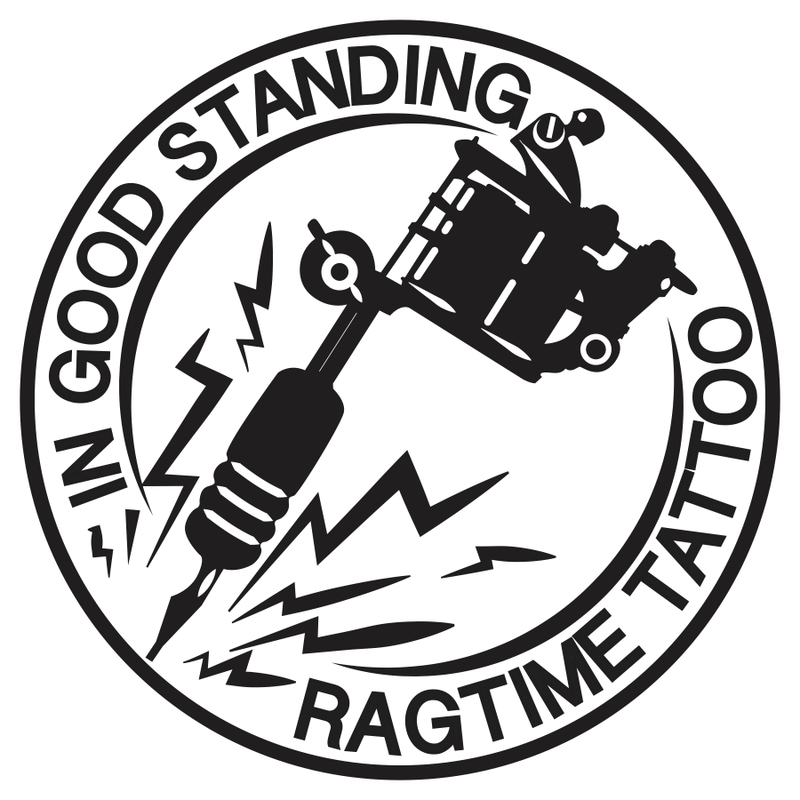 In doing so you have taken a part of the ownership and direction of RAGTIME TATTOO! 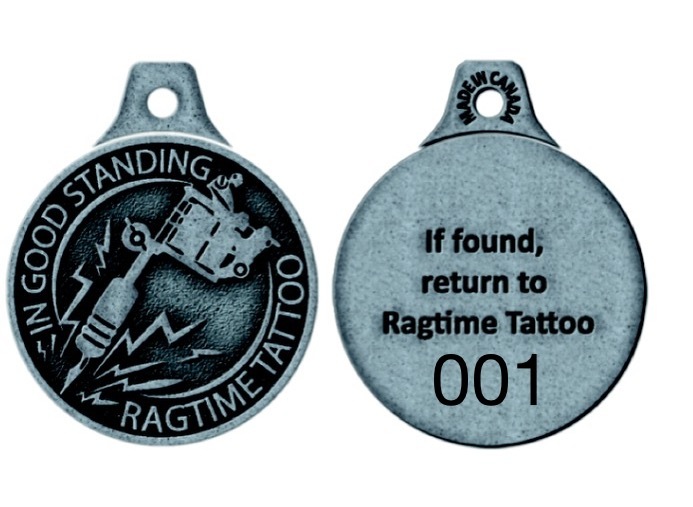 Ragtime Tattoo is starting its own Keychain Club. It’s very Simple. We are going to sell a “Client in Good Standing” keychain. When you purchase your keychain, you will also get an exclusive Coffee Mug and T-shirt. The Keychains will be numbered so you can be registered for future events and exclusive product sales. As a bonus, if you lose your keys they can be returned to the shop and we can find the owners! The Keychain Club will be ready by the end of September. Please take a second to fill out the field below to help stay in formed on the Keychain Club. Keep up the good work, Matt. My wife and I have returned from overseas, and I will be visiting you soon! As a Navy recruiter, I am always spreading the word (and art) of the special care you take with everyone at the shop! I’ve known you for a long time…always a good friend. Would love to be a member of your club. Whats the secret initiation process? I’m ready….bring it..
Love all the work you’ve done for me! Always a great experience! So grateful to have you in my life and I am truly fortunate to have your beautiful artwork on my body! Thank you!!! I absolutely love RagTime! I’ve been coming around since 2011 when Matt Cee was doing all my work. I look forward to getting back into the shop and meeting some of the new artist!